Calling all Crafters! 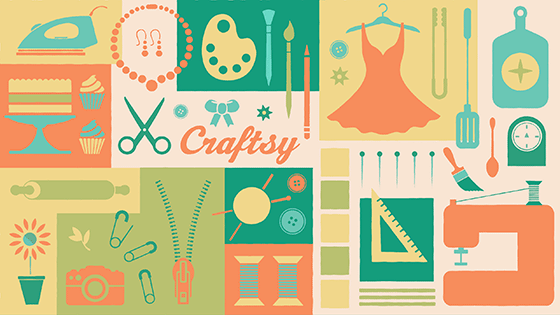 Today only, Craftsy is offering a 14-day trial of its craft classes subscription for $1! With the Craftsy Unlimited subscription you get every Craftsy class (plus the new and exclusive video tutorials) that you can watch whenever you want. If you are looking to learn a new hobby, or even master a skill you already have, Craftsy will have a class for it. You can access your classes from any device and there are over 1,000 current classes to choose from. The deal ends today, 6/23.